Fuller’s is London’s last remaining traditional family brewer. 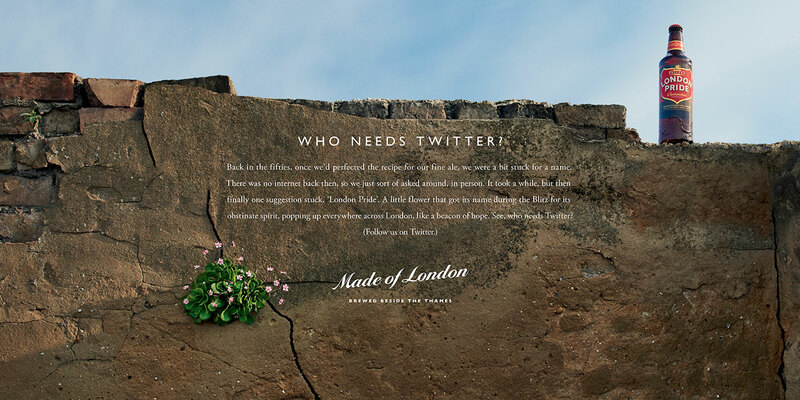 I worked on the design and art direction for the 'Made of London' campaign, which relaunched the brand and helped move it from 6th to 1st in purchase intent. 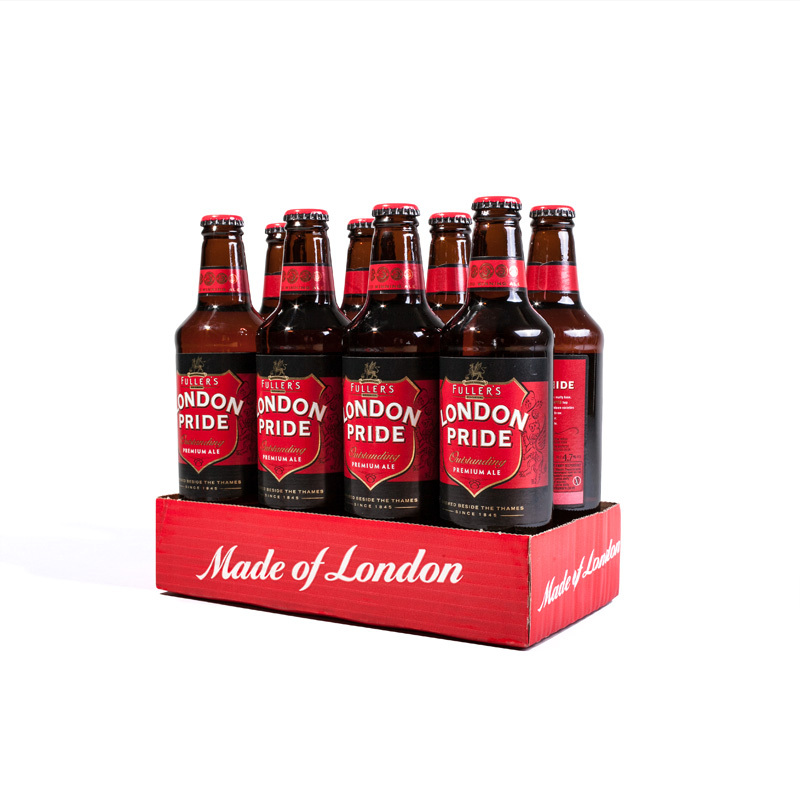 ‘Made Of London’ tells the true stories of the authentic craft and character that binds London Pride to the heart of the capital and its ale drinking community. 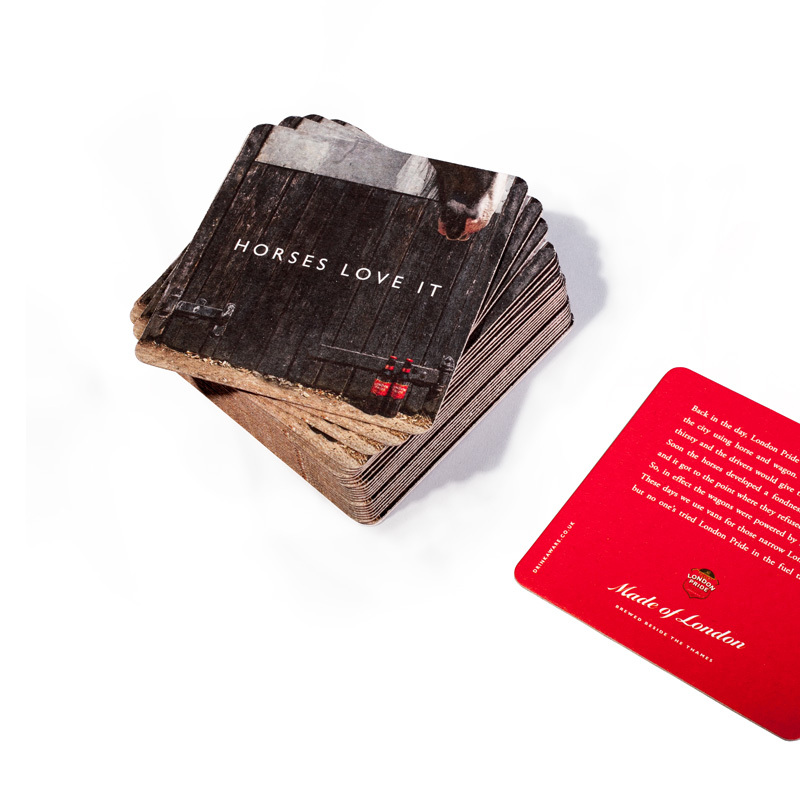 The minimalistic campaign mark communicates both the heritage and progressiveness of the conveyed by the brand message. It is used consistently across all channels. 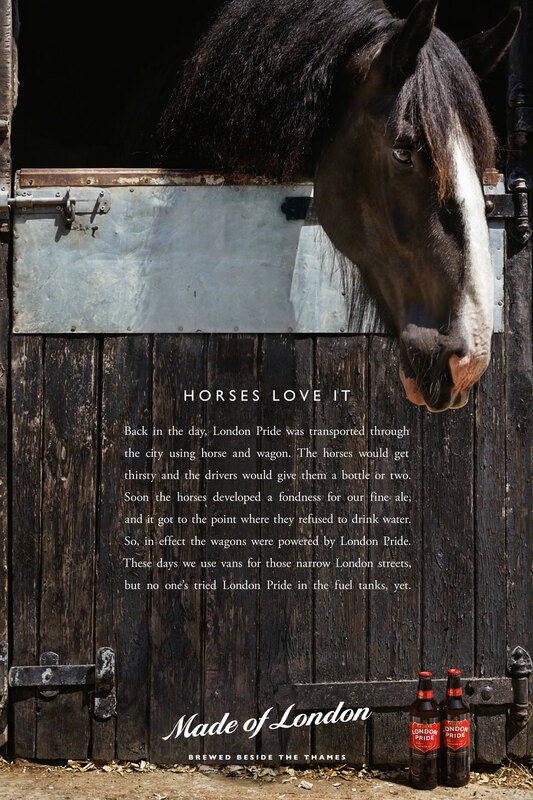 The art direction of the campaign aims to convey a sense of nostalgia that pay tribute to the heritage of the brand, which is deeply rooted in post-war London. 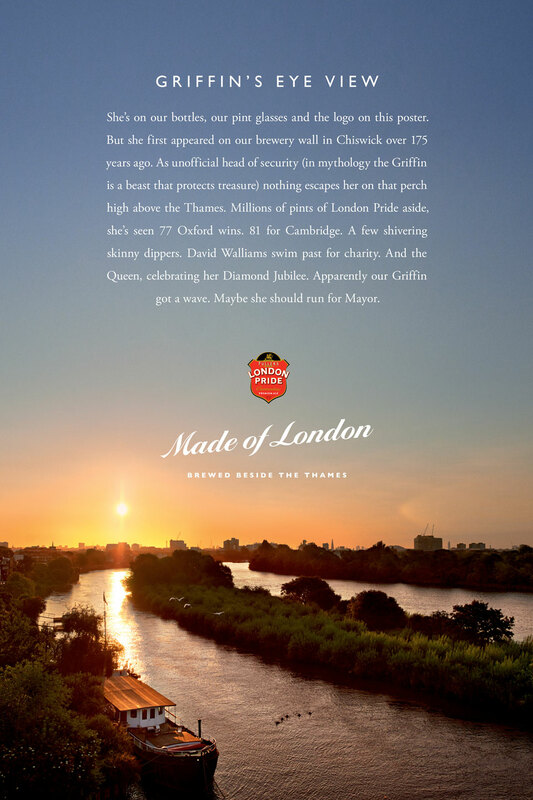 Thus much focus is put on the editorial styled typography that supports the copywriting. Photography also compliments the long copy and often leave white space for it. Various campaign collaterals was created to accompany the launch campaign. Many of these were distributed to all Fullers owned pubs across London.